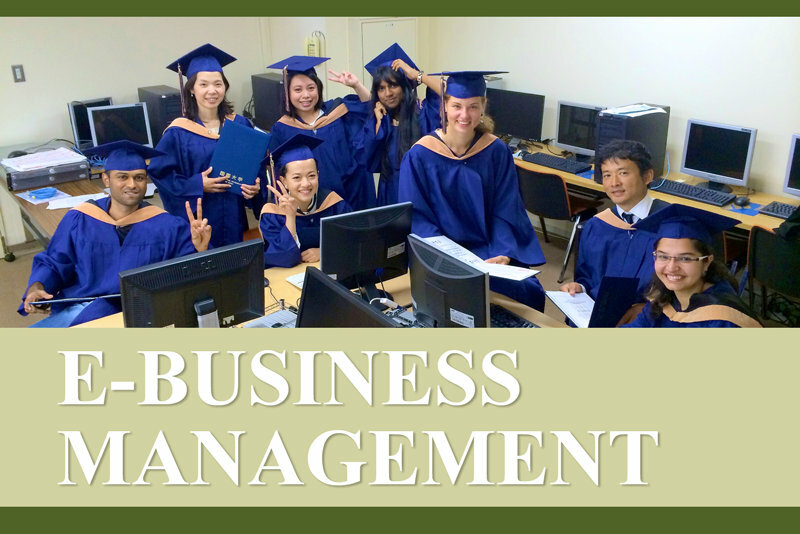 The E-Business Management Program is designed as a full-time one-year masters program. It consists of three terms (Fall, Winter, and Spring) plus Summer period of course work, and completion of a research report or thesis under the supervision of a faculty member. The courses are divided into the 6 categories listed below and students are required to complete a minimum of 32 credits according to each category. Courses in each category are shown HERE. Students are required to take 9 Basic Courses (15 credits), 3 Advanced Seminars (6 credits). Both English and Japanese courses are available to E-biz students. However, if E-biz students are required to take Academic English in a specific term, those students cannot take a Japanese course in the same term. refer to the Advanced Seminar section. It is recommended that students evenly distribute their course load over each term. When this recommendation cannot be followed, a student’s course load must not exceed twelve (12) credits per term nor can a student take less than two (2) credits per term. Credits from Advanced Seminars and language courses are excluded in these maximum/minimum term credit limits. + All courses offered by the university, except for E-Biz Core Courses and language courses, can be counted as Elective Courses.